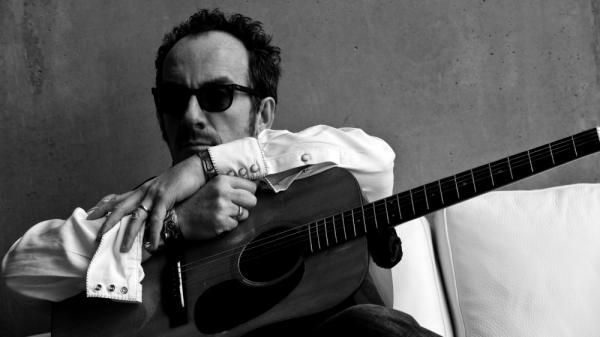 Monday's session of World Cafe is dedicated to Elvis Costello, a London native who's been reinventing what it means to be a rock musician since 1970. Spanning punk, new wave, underground rock and even bluegrass, Costello has more than 30 studio albums to his name, and has collaborated with many of the world's most talented musicians. Today, David Dye looks at a 2009 interview following the release of Costello's T-Bone Burnett-produced album Secret, Profane and Sugarcane; a 2006 interview with Costello and Allen Toussaint about their post-Katrina album The River in Reverse; segments from sessions in 2003 and 2002; and a 1993 session with Costello and his keyboardist Steve Nieve. In the span of Costello's articulate interviews on this episode, listen for his take on the "humbling" experience of singing with Johnny Cash in 1979, the way his vocal collaboration in Toussaint's "Nearer to You" changed the song's meaning, and the influence and encouragement of his father, trumpeter-turned-vocalist Day Costello. This segment originally aired on October 10, 2011.